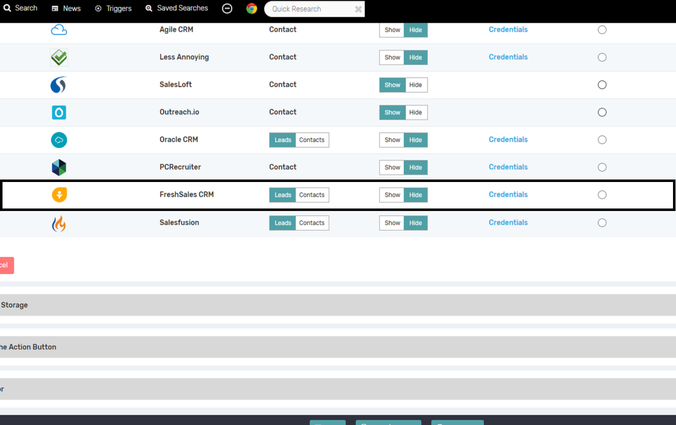 View important information about your sales leads, like email and direct dials, within Freshsales. 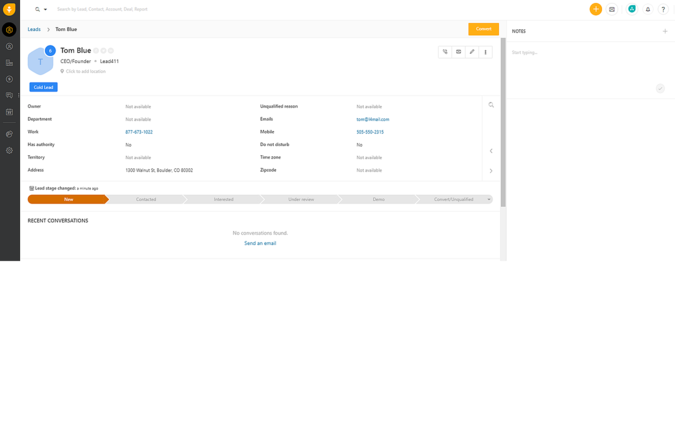 With the Lead 411 and Freshsales integration your agents will be able to get the relevant information they need about a customer, where they need it most, in Freshsales. 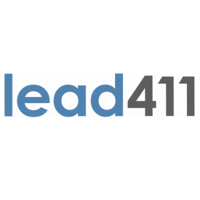 Once you have signed up for a Lead411 Account, you can set up the FreshSales Integration within the Account Settings. 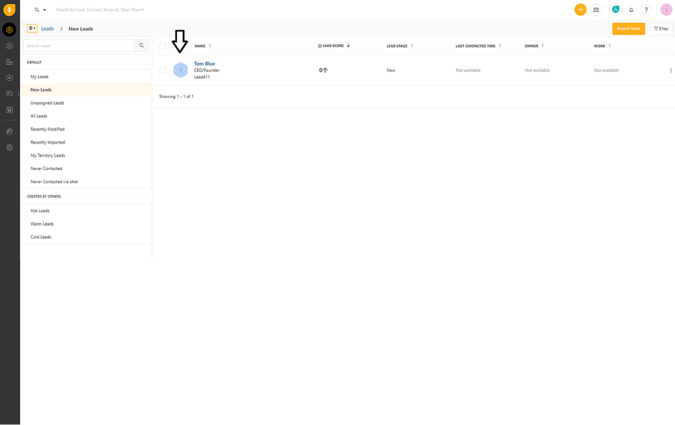 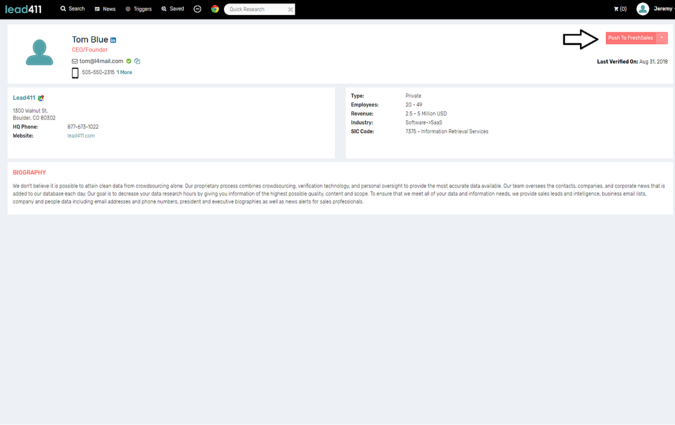 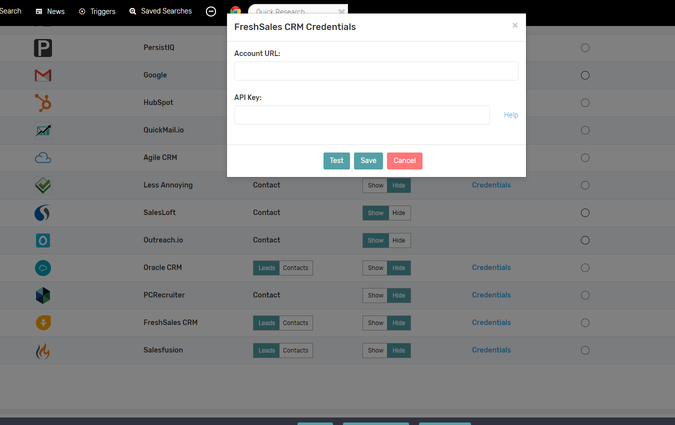 Next insert your FreshSales Credentials and API Key (click Show so you see your CRM in the export options) and lastly, map the fields you would like to have imported.